There is only one way to turn a house into a home, and that is to build it God’s way. When you use God’s blueprint, and invite Him to be the general contractor, your home will have a solid foundation and will withstand any storm that may come against it. There is conflict in any relationship, and marriage is no exception. But there is good news. 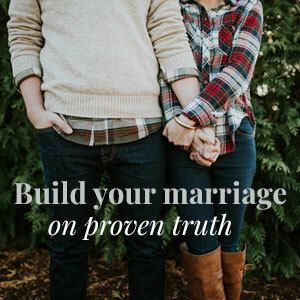 Whether your marriage is in SOS mode or is simply “so-so,” these clear and practical instructions will help you speak the truth in love and get your relationship back on the road to success. A good marriage, like a beautiful dance, exhibits timing, balance, rhythm and strength. When you invite the Holy Spirit to be the choreographer, He provides the instructions and empowers you, in full partnership with your spouse, to dance this wonderful dance of marriage according to God’s design. To exert a positive influence on our families and our culture, we must be pure in our motives, thoughts and lifestyle. How do we become pure, and how do we avoid the dangers of the gradualism that allows impurity to creep into our lives?